It is that time of year again here in sub-Saharan Africa when the temperatures, humidity, thunder and lightning create some serious hazards and challenging situations for aviators. Those two words DENSITY ALTITUDE are the ones that must be taken very seriously as the thought processes taking in "hot, high and humid" should be an intrinsic part of the Risk Assessment Prior to Flight undertaken by all Pilots whether taking to the skies in a private, commercial or training capacity. We hope that this Issue of interest to you all. 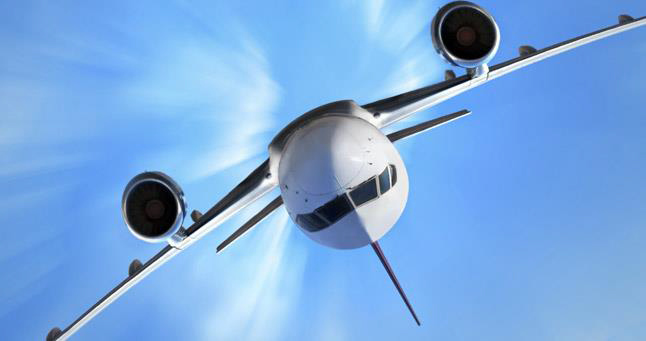 Loss of control has been the cause of a number of airplane accidents since 2000 that have killed hundreds of people. In some of these accidents the pilot's actions in response to an unusual flight or aircraft condition has been so obviously wrong that we all want to know what led to a series of fatal mistakes. Is it poor piloting, panic, confusion, poor training, a feeling of being overwhelmed or someone who was simply unqualified to fly a commercial airplane? Flight parameters presented by cockpit flight instruments that display aircraft attitude, altitude, airspeed, and heading in a convenient grouping are simply ignored by both pilots failing to pay attention. Causes listed for many of these accidents include poor instrument scan, poor instrument monitoring, misinterpretation of what is happening to the aircraft, and incorrect flight control inputs. The pilots must be aware of pitch attitude, roll attitude, airspeed, and altitude at all times. When pitch attitude is out of the normal range for the airplane's flight phase, something is wrong. Pitch attitude, angle-of-attack and flight path angle are uniquely related (pitch attitude = angle -of-attack + flight path angle.) If the pitch attitude is unusually too high, the angle-of-attack is most likely increasing and the airspeed will start to decrease. Critical instruments in the cockpit must not be ignored at any time. The problem is exacerbated when the pilot does not understand the basic aerodynamics of the airplane, stall, stability, correct use of controls and aircraft response to forces acting on the aircraft. There is a misconception on the use of rudder by many pilots, especially at speeds near the stall, and in many instances opposite in the direction of bank. Loss of control is often triggered by aerodynamic stall, wake turbulence, wind shear, high altitude speed and buffet margins, pitot system failure, IFR conditions, cold weather, weather, weight and balance, somatogravic illusion, and engine failure. The following accident narrative clearly and dramatically exemplifies the 'loss of control' of an airplane under rather benign flight conditions. On 25 January 2010, an Ethiopian Airlines B737 departed, Beirut, Lebanon at night, amidst thunderstorms over the Mediterranean Sea and crashed shortly after take-off. The IFR clearance was given as climb to 3000ft. with instructions to make a right tum to 270 degrees. The Captain of flight 409 acknowledged heading two seven zero. The aircraft climbing in a left turn did not maintain the 270 degree heading. The airspeed dropped to 141kts, at an 18 degree angle-of-attack. At this point the pilot is beginning to lose control of the airplane and the co-pilot is of no help at all. The stick shaker activated and remained on for 27 seconds, no action for a very long time. Two seconds later the aircraft pitch attitude reached 38.5 degrees nose up and the "bank angle" aural warning sounded. At 7700ft, the airspeed was 120kts, pitch attitude 4 degrees nose up, angle-of-attack 25.5 degrees and a vertical load factor of 0.6 g. Angle-of-attack then increased to 32.0 degrees and the pitch attitude began to decrease sharply. As the pitch attitude decreased, a left bank angle developed that reached 68 degrees. Two "bank angle" aural warnings sounded as the airplane stalled followed by right control wheel and right rudder. During a stall rudder should not be applied, the right aileron must be moved very carefully and most importantly the nose should be lowered to reduce angle-of-attack. As the bank angle decreased towards wings level the pitch attitude began to drop, a nose-up input was made, reaching 11 degrees nose-up and then dropped below the horizon. The stick shaker activated for a very long 29 seconds, with the captain calling for "go-around" four times and the F /0 replying "roger, go around". Speed increased and reached a maximum of 238kts. The column was then relaxed towards neutral, and the aircraft began to pitch up and slow down again. At about 6000 ft the aircraft began to climb again. The airplane continued to pitch up and slow down while the left wheel and right rudder were maintained! The right rudder was then removed with the bank angle maintained. The aircraft then rolled to the left while it pitched up and slowed down. The speed dropped through two hundred knots at a 31degree pitch attitude. The aircraft continued to roll left past 35 degrees. The cause of this accident can be attributed to loss of control by the mismanagement of airspeed, altitude, heading, and incorrect control inputs. Rudder should not be used at low speed. In this case rudder was applied in the opposite direction of the bank angle putting the aircraft in a cross controlled condition that increases drag, loses of airspeed and eventual loss of control. As I point out in my book, The Complete Handbook on Piloting and Aeronautics, there are many in the general pilot population who use the rudder inappropriately. The inability to maintain heading, altitude, attitude and airspeed on instruments is an indication that the pilot was not a qualified "instrument pilot.'' He may have been overwhelmed by the weather and dark night over the Mediterranean Sea, but that points to poor pilot training, or limitations imposed by the pilot's own ability to stay focused and calm under all flight conditions. While not all loss of control accidents fall in the category of this accident, particularly when catastrophic failure of the aircraft or systems are involved, it is clear that in cases like this one pilots need better training and a deeper understanding of basic aerodynamics. Arthur Torosian: is the author of The Complete Handbook on Piloting and Aeronautics available at: http://www.pilotingaeronauticshandbook.com/order/MS California Institute of Technology, McDonnell Douglas: Director of Performance and Control, Director of Product Design, Engineering Test Pilot. Airline Transport Rating. Type Rated DC-8, DC-9, MD-80 and DC-10, Graduate USAF Test Pilot School. 24 Jan 17 Bell 407 3 Central African Park, Central African Republic. Should you wish to make a booking for any of the following courses please contact Candice on +27 (0)11 024 5446/7 or by email to training@henleyglobal.org.za. The 2018 schedule will soon be posted on the website - http://henleyglobal.org.za/events/ and in detailed January's edition of Avia Global UPDATE! National Transportation Safety Board chairman Robert Sumwalt stressed the importance of a strong safety culture, living the company's core values and providing strong safety leadership as flight operations strive to meet their customers' expectations. Speaking Thursday before the Bombardier Safety Standdown in Wichita, Sumwalt highlighted numerous accidents-from the May 2014 Gulfstream IV-SP crash in Bedford, Massachusetts, where the flight operation was IS-BAO 2 registered, but the experienced crew did not complete checklists, to the November 2015 Hawker 700A crash in Akron, Ohio, where procedures were not followed and crew not properly vetted-and asked if operators were providing what customers truly deserved. He argued that there sometimes is a disconnect between the customers' safety expectations and what they are actually getting. He urged the Safety Standdown audience to ask themselves if they have implemented a strong safety culture. He also challenged them to continually strive for such a culture rather than believe they have attained it. "We must never get too comfortable," Sumwalt said. He also questioned whether organizations are really living their values. Most will espouse priorities, placing safety on top, he said. But priorities change-core values shouldn't. Safety needs to be a value, not a priority, he said. Sumwalt places such an importance on values that, after stepping in as chairman, he immediately assembled a team to develop values for the NTSB. He pointed to CVS as an example of living values. A few years ago, CVS eliminated sale of cigarettes, saying it was incongruous with the company's mission of wellness. That raised Wall Street predictions that the organization would incur a $2 billion loss as a result. But in the intervening time, profits have increased 10 percent and stock value soared 40 percent. As for safety leadership, Sumwalt stressed the need for an alignment between employees and management. Management often will emphasize safety, but might not practice it. This will filter down throughout the organization, he said. Sumwalt pointed to NTSB's investigations of five accidents at the Metro-North railroad during a 10-month period. NTSB surveys revealed that management there believed more strongly that the railroad had an appropriate safety culture than labor believed, Sumwalt said. The agency further found that train drivers were frequently speeding to keep up with time pressures placed on them. Sumwalt, who attended last year's Safety Standdown, noted that at the time he expected it to be his last as a Safety Board member. He had agreed to stay beyond his expired term to ensure the NTSB had an adequate number of board members. But early last year the White House called and asked him not only to stay on, but move into the leadership role on the board. Sumwalt was later confirmed and officially sworn in on August 10. After analysing dozens of helicopter accidents that resulted in fatalities for pilots and passengers, the US Helicopter Safety Team (USHST) has circulated what it says are the five vital action items for pilots that will improve safe operations. Focusing pilots on these solutions will allow them to make better choices before and during their flights, said USHST; the facts show that failure in these areas has resulted in lives being lost. The pilot in command is responsible for determining the airworthiness of the aircraft he or she is operating. An adequate pre-flight inspection and final walk around is key to determining the condition of an aircraft prior to flight. In addition, post-flight inspection can help to identify issues prior to the next flight. The USHST believes that pilots would benefit from better guidance on how and why to conduct these inspections, as well as increased attention to their importance. The flight environment is often dynamic and not every contingency can be anticipated or scripted in advance. The pilot-in-command is ultimately responsible for the safety of a flight - however, non-flying crew and passengers can and should work with the pilot to ensure safety. When unexpected changes are encountered, it is paramount that the pilot and crewmembers/passengers try to detect the elevation of risk, communicate it to each other, and collectively work through a reasonable resolution or mitigation. The USHST believes that effective practices are needed for each stage in the process - detection, communication and decision. Transition training in the helicopter community is not uniformly applied, and this is leading to accidents because of unfamiliarity with airframe and/or equipment. The USHST believes that documentation related to helicopter transition training can be developed into a new, unified guide that would offer recommended practices and a 'toolkit' to support standardised use. Because over-the-counter medications are readily available, pilots frequently underestimate the deleterious effects and the impairment caused by these sedating drugs. In spite of specific federal regulations and education efforts regarding flying while impaired, over-the-counter medication usage by pilots remains a factor in 10 to 13 per cent of aircraft accidents. The USHST believes that the helicopter community needs an increased awareness of the potentially disastrous results of operating an aircraft while taking these medications. Safety in the aviation world can be defined in many ways. From the reactive point of view, safety essentially means a lack of accidents, an absence of injuries, and a general environment where things don't go wrong. From the proactive point of view, this environment doesn't exist for any consistent amount of time unless certain safety-related active principles are put in place and specific safety attitudes are fostered and strengthened. Whether we are strengthening a person's safety attitude, bolstering a team's safety convictions, or nurturing an entire safety culture, focusing every member of an aviation team at every level on clear and tangible convictions needs to be a central goal. The USHST said it believes that a more widespread culture of safety can be developed if the principles are straightforward and relatable to individuals. The Team added: "Your flight decisions need to be determined by safe actions. You need to take a proactive approach to solving safety issues. You must never carry out any unsafe actions or unprofessional behaviours. You should be continually looking for new safety knowledge and information. You need to find ways to invest in and use technology that improves safety." The Transportation Security Administration's (TSA) mission is to "protect the nation's transportation systems to ensure freedom and movement for people and commerce." To help with this enormous task, the TSA has established a variety of committees and programs to provide industry experts' advice to the TSA administrator. With regards to aviation, the Aviation Security Advisory Committee (ASAC) is charged with providing counsel on all aviation security matters. The membership of the committee is composed of private sector organizations with a direct impact on aviation security. Unfortunately, there is one glaring stakeholder omission: the aircraft maintenance technician. While the pilot and flight attendant voices are represented by their respective union, the craft-specific technician union is not seated - leaving out an essential safety perspective. A technician deserves a seat at the table, and U.S. House of Representatives Transportation and Protective Security Subcommittee Chairman John Katko (R-N.Y.) agrees. In a letter to the TSA acting administrator, Katko stated, the maintenance technician "is a highly skilled professional and directly contributes to the security and safety of the American flying public," and "for the ASAC to be an effective counsel to the TSA Administrator, it is imperative that the committee's composition be representative of the aviation career fields providing security and safety..."
Interestingly, why isn't there a craft-specific labour voice on the advisory committee? Aircraft Mechanics Fraternal Association contends that industry has usurped labour's role, putting forth a business-first opinion, void of the proficient perspective and candid voice of the maintenance technician that we represent. The association strongly believes this is a mistake and one that effectively limits the ability of the advisory committee to accomplish its mission. Although corporate interests and perspectives are essential in the discussion of safety - so are those of labour. Until a craft-specific aircraft maintenance technician labour voice is seated at the table with the other advisory committee members, the imperative safety knowledge of the technician is silenced. It's time the TSA administrator to include a craft-specific labour voice on the Aviation Security Advisory Committee, which will allow them to use all available expertise to keep the flying public safe. The role of the technician is one that blends knowledge and skill. Most technicians have invested tens of thousands of dollars in education and the specialty tools necessary to succeed. Once engaged in their career, you can find technicians on the line troubleshooting discrepancies, or conducting preventative inspections and time-sensitive repairs; in the hangar performing an engine change or heavy maintenance check; and in the manufacturing facility building an aircraft from nose-to-tail. All these tasks are performed to ensure the flying public can reach their destination safely. No one should underestimate the expertise and capabilities of our technicians. Instead, we should harness and utilize their knowledge and experience at all levels of the decision-making process. Technicians' commitment to the flying public is to ensure a safe aircraft in the air by providing quality maintenance on the ground. This responsibility is taken seriously and is not limited to take-off, in-flight or landing. Technicians' charge continues to all safety aspects of the aircraft. A technician performs hundreds of inspections each year, including the search for evidence of mechanical tampering and, worse yet, the possible discovery and removal of dangerous materials. Unfortunately, we live in a dangerous time, a time where everyone must remain vigilant from those that seek to harm us. The technician is the flying public's first line of defence and an essential safety net in a collective goal towards the flying public's safety. It is time for their unique perspective to be shared. Bret Oestreich is the national director of the Aircraft Mechanics Fraternal Association (AMFA), a craft specific, independent aviation union. AMFA represents aircraft maintenance technicians and is committed to improvements in the wages, benefits and working conditions. Oestreich has been employed at Southwest Airlines, as an aircraft maintenance technician, fiberglass composite-structure mechanic since 2012. Oestreich was previously a 737 tail and engine technician, fiberglass composite technician on DC-10, MD-11, A-300, and sheet metal and tail engine technician on MD-80 aircrafts at American Airlines in Tulsa, OK. The global aviation industry continues to be a rapidly growing sector, far from reaching maturity. This was stressed at the recent International Forum for Aviation Research (IFAR) open session at the Council for Scientific and Industrial Research (CSIR) in Pretoria by US National Aeronautics and Space Administration Associate Administrator for Aeronautics Research Mission Directorate Dr Jaiwon Shin. "Aviation is not a dying industry; it is not a mature industry. It is growing in leaps and bounds," he affirmed. "This is because countries are getting richer. In a lot of developing countries aviation demand is growing significantly." "Many countries have chosen aviation as a growth engine for their economies," he noted. "Dubai, the UAE [United Arab Emirates] is a really good example." Including the activities of national carrier Emirates, Dubai hopes to generate 40% of its gross domestic product from aviation. A striking development is that, just as in the 1930s and 1940s, a lot of very wealthy entrepreneurs are getting involved in aviation, a sector they know little about. Google and Amazon getting involved with unmanned air vehicles are good examples. "It could be a fad. ... It does not look like a fad." Technology convergence is happening in every sector, with revolutionary impacts. "A renaissance of aviation is upon us," he argued. For South Africa, because of its aviation infrastructure, he suggested that "this might be a golden opportunity. ... A lot of entities and countries ... are moving into this." The new technologies (small UAVs, networking, Internet of things, and so on) opened the potential for aviation to move from a high-technology but low-volume production industry to a high-technology high-volume production sector. High-volume production would bring costs down. "A country like South Africa may be very well positioned to catch this new market," stated Shin. But penetrating this new market would require the building of an ecosystem of universities, government-funded research institutes (like the CSIR, although the CSIR is actually partly State-funded) and businesses. "To make [such] an ecosystem like a well-oiled machine is not an easy thing to do!" Next Safety, Security and Stakeholders Meeting will be held on Tuesday 13th February 2018 at 12.00 in the LIA Training School. # Major earthworks to be carried out during the building of a new 3 story car park across the road from the main terminal building. Work commenced on 18th April 2017. # Runway Maintenance will be carried out on the 27th, 28th, and 29th December 2017 and will therefore be closed from 18:00 till 06:00 local time for the duration of the maintenance. No Helicopter operations will be interrupted. The Air Band Radio will be monitored at all times. The International Air Transport Association (IATA) has requested aviation safety stakeholders to strengthen their commitment to a safety framework based on global standards, cooperation and dialogue, and effective use of data. IATA director general and CEO Alexandre de Juniac claimed that air accident investigation is a major area where greater cooperation on global standards is required. Juniac said: "Safety is the top priority for all involved in aviation-and aviation is the safest form of long-distance travel. "Last year there were over 40 million safe flights. That's an achievement that we can all be proud of. And it was made possible by a framework that incorporates respect for global standards, cooperation and the value of data." "TO LEARN FROM AN ACCIDENT, WE NEED REPORTS THAT ARE COMPLETE, ACCESSIBLE AND TIMELY." A recent study has revealed that of the approximately 1,000 accidents that occurred over the last decade, accident reports for only 300 of them were available and of those many had scope for improvement. Juniac added: "To learn from an accident, we need reports that are complete, accessible and timely. "We also need states to fully respect the standards and processes enshrined in global agreements for participation in the investigation by all specified parties." Aviation safety can also be improved with proper communication between regulators and industry in order to ensure that industry experience and know-how is suitably incorporated into new regulations and standards. The governments need to share adequate data, consult with industry, and support the International Civil Aviation Organisation (ICAO) as it frames a global aviation security plan. According to Juniac, more information is also required to enhance safety regarding the use of drones around airports and their potential hazard to aviation.